I found a small amount of this Apache Agate at Tannehill earlier this year. 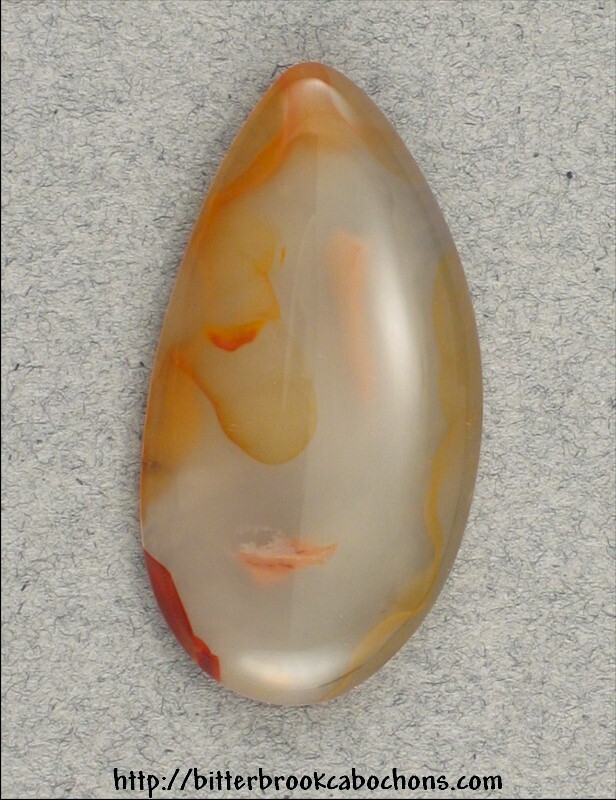 Delicate inclusions and an almost clear Agate make for a knockout cabochon. Check out the extra photo to see how clear this stone is. An incredible cabochon! Dimensions: 41mm x 22mm x 6mm. Weight: 39.15 carats.